The Tsuneishi Factory (Director & Tsuneishi Factory Manager: Takuma Ashida) of TSUNEISHI SHIPBUILDING Co., Ltd. (HQ: 1083 Tsuneishi, Numakuma-cho, Fukuyama, Hiroshima, Japan; President: Kenji Kawano), which engages in newbuildings, was granted ISO45001 Occupational health & safety management system certification from Nippon Kaiji Kyokai (ClassNK) on January 17. The Tsuneishi Factory is committed to developing a safe workplace environment, in line with our fundamental principle of a health & safety policy that gives absolute priority to safety. The factory recently received certification to ensure that all workers maintain heightened awareness toward safety and continuously reevaluate tasks and systems to prevent them from becoming overly routine. As ISO45001 shares standards with ISO9001 (quality management) and ISO14001 (environmental management), we will work to streamline these and eventually shift to an integrated management system. 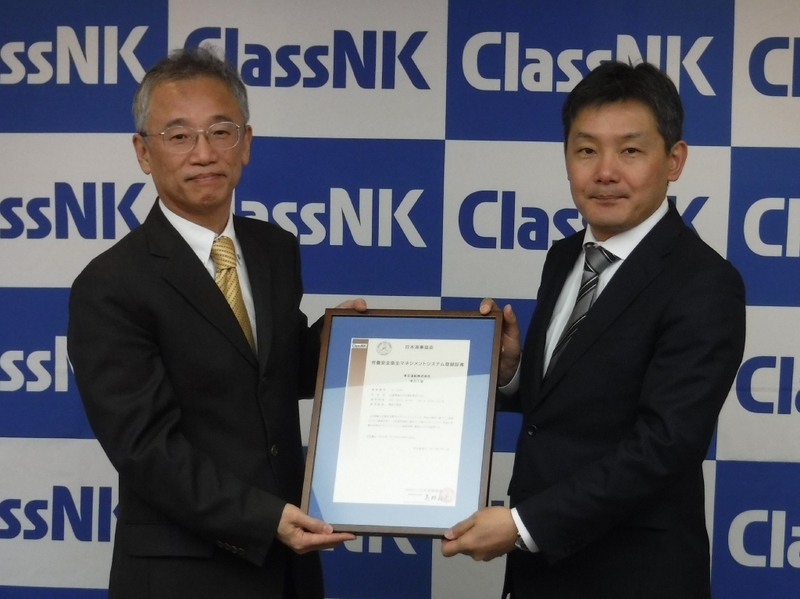 Because workplace safety will always be our highest priority, TSUNEISHI SHIPBUILDING continues to raise the awareness of our employees and aims to gradually obtain this certification at other factories as well. Marking its 100th anniversary in 2017, TSUNEISHI SHIPBUILDING (Fukuyama, Hiroshima, Japan) is the anchor company of the TSUNEISHI Group, which mainly engages in shipbuilding and maritime transport. With manufacturing bases in Japan (Tsuneishi Factory, the HQ) and three overseas factories in the Philippines, China, and Paraguay, the company builds 30,000-tonne to 180,000-tonne class bulk carriers, container carriers, tankers, cruise ships, and other ships.